From April 10 to April 13, 2017, ZIEMANN HOLVRIEKA will be present at the Craft Brewers Conference (CBC) and BrewExpo in Washington D.C. In addition to solutions for craft breweries, the company will be presenting the new mash filtration system NESSIE at booth 535. With this novel filtration process, the customers benefit from shortened process times and the processing of various starch sources, independent of the batch size. With the innovative technology NESSIE by ZIEMANN®, ZIEMANN HOLVRIEKA is revolutionizing all conventional brewhouse processes. 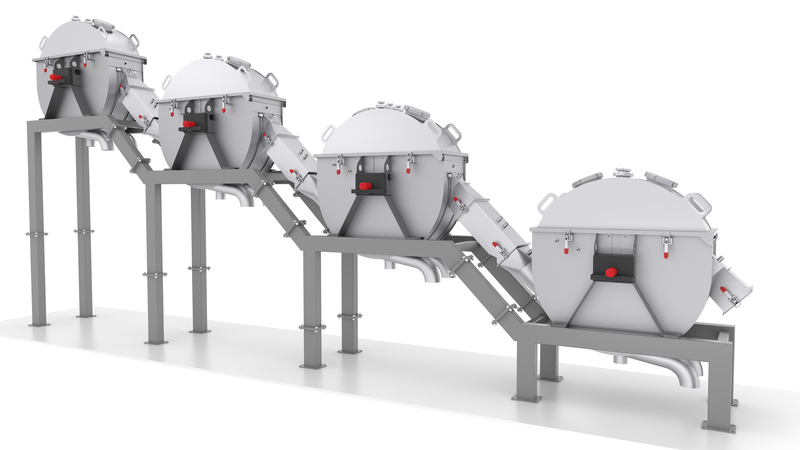 By means of four rotary disk filters, connected in series, the advanced mash filtration process combines the following process steps: separation of spent grains and wort, extraction in the counterflow procedure as well as the dynamic washing of solids and their separation. With NESSIE by ZIEMANN®, the brewer achieves high extract yields and a high content of yeast vital substances. The interaction of design and technological advantages creates new framework conditions for the wort production. With NESSIE by ZIEMANN®, three process steps can be implemented with only one system. In addition to NESSIE, ZIEMANN HOLVRIEKA will also be presenting its broad product portfolio for craft breweries. From the malt intake right through to the bright beer tank cellar, the Ludwigsburg-based company provides innovative solutions for brewhouse plants and offers the craft brewers maximum flexibility and efficiency across all stages of beer production to brew top quality beers.